This is something I’ve been involved in recently, translating Japanese into English for Hinoki Noh publishing house. I hope I will be able to translate texts in Italian too, some day! Multilingual subtitles at the Noh theatre would be amazing. The picture above shows the introductory section spectators can read before the performance begins. After that the audience can follow the action on stage while reading brief descriptions automatically updating on the screen as the play progresses. Pages have black background and white characters, minimizing the annoying effect of bright screens in the semi-darkness of the playhouse. See the Japan Times article on this service here. The mouth is now open. Kiyotsune is getting ready to tell his story. 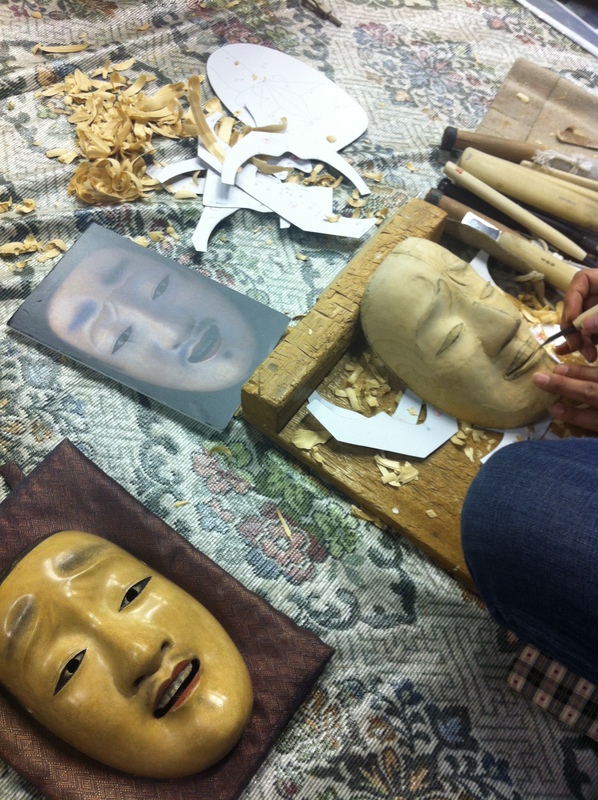 In this picture you see Hea-Kyoung carving the chūjō mask I will use for Kiyotsune. At the bottom left is one of Udaka-sensei’s chūjō which is used as a model. 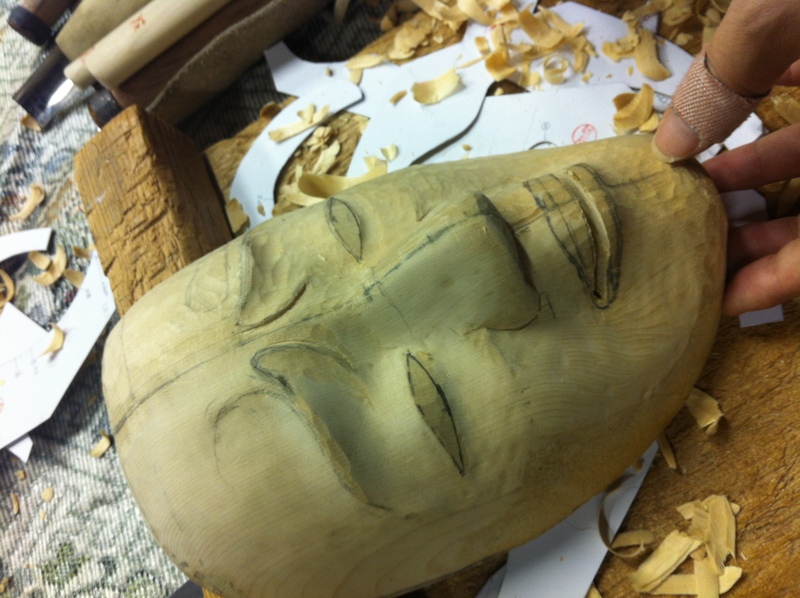 A the top of the picture you can see paper shapes used to check the progress of specific portions of the mask. In the picture below you can clearly see the mouth just after being opened. ‘Frowning’ eyebrow marks are also deeper now.